My biggest problem is that it seems like Canon is moving more towards a consumer camera. It's not all that bad, but it doesn't seem right that it's price really isn't much cheaper than previous x0D bodies. (Then again, Canon is trying to sell 5 DSLRs under $2000, and their price structure is pretty odd, especially with the 7D.) I think Canon's problem is that there needs to be differentiation with the 7D, but still had to add video to the feature set. I'd wondered what Canon would do for a year now, and I don't know how I feel about the changes. 1. Sensor (this is probably the most important! ): This should be great, it's like the 7D and T2i one. 2. Body: Everyone needs to hold one before they decide, but I'm going under *very* skeptical. The plastic is one thing, which makes some sense, but I don't like the fact that the body is smaller overall. I've found the current side of the x0D and 7D bodies really really really comforting. A bigger grip is nice! I also don't like the fact that there's less buttons. 3. The new controller thing: Neat, and that will take an immense amount of getting used to if I upgrade. It might mitigate part of the problems of less buttons only because it makes shooting with a grip easier. Still I'd take a plastic 50D with the new sensor. 4. Loss of a PC sync terminal. Really surprising. I never used mine much, but I've also planned to get into more flash. I know lots of people use it. 5. Wireless flash: WooHoo! For me, that pretty much makes up for the previous one. However, it means newer flashes will be required. 9. Loss of Wireless file transfer unit. - Doesn't matter much to me, those are way to pricey! 10. Mode dial lock button. Neat! But not much of a difference. 11. LCD. Yeah, this really is a big plus. No matter how you look at it. It's a really useful! I think my biggest problem is that Canon didn't really treat this like an x0D camera. I mean, changing certain parts of the body is fine, but features were also removed. I feel like this is the G7 of 2010. We'll see how this goes. :) Any of the above could change. I agree with pretty much everything Michael said. I for one probably won't continue on the X0D line. Unfortunately I'll probably move up instead of down. I probably have $500 in CF cards alone. Personally I think Canon should of killed this line. The 5D and 7D have messed up the product line. 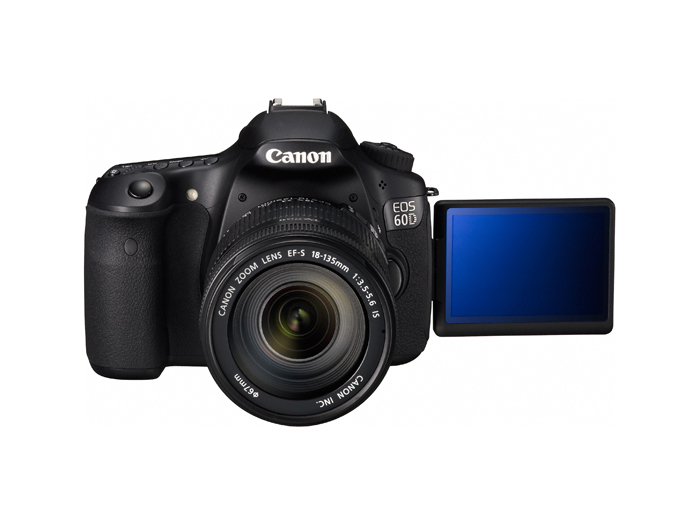 I personally think the 7D should of taken the place of the 60D. I mean how much of a difference is their between the T2i and the 60D anyways. While there are some nice new features on the 60D it's not a true x0D successor for me especially with the move away from a magnesium alloy body. What they give with one hand they take away with the other. It seems Canon have painted themselves into a corner with the model range and features since the 7D and new models will be compromised in order to prevent overlap/cannibalisation of sales. I think I will stick with my trusty 40D for a bit longer and see what the 7D replacement will be like in due course. then the X0D series surely will be discontinue.